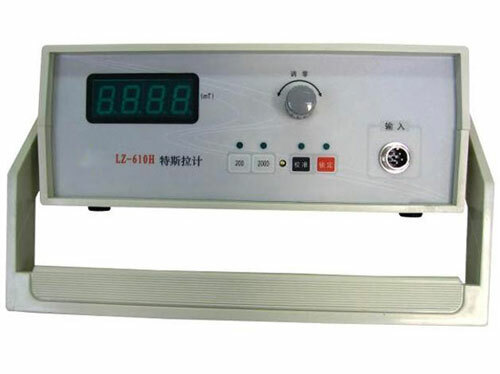 LZ-610H Teslameter is designed according to the hall-effect, it can measure the magnetic field in the permanent magnet industry. Use to measure the magnetic field of permanent magnet or identify the polarity. Transect or axis probe can be selective. The largest field magnitude is seen with the Max Hold function. 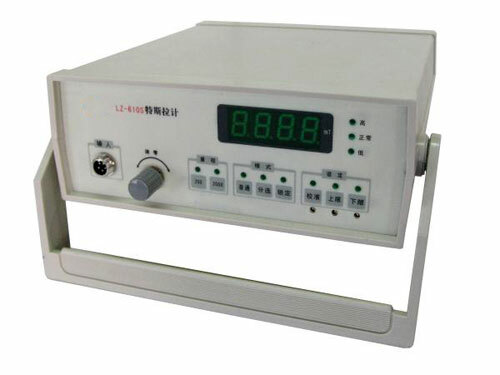 LZ-610S Gauss meter measures the surface magnet of all kinds permanent magnet, especially suitable of the measurement of weak field (eg. the testing of deflexion magnetic core field). Possesses the functions include determinating polarity, Pre-setting separation and Alarm. According to the necessity to choose the probe, cross sectional one or vertical sectional one. 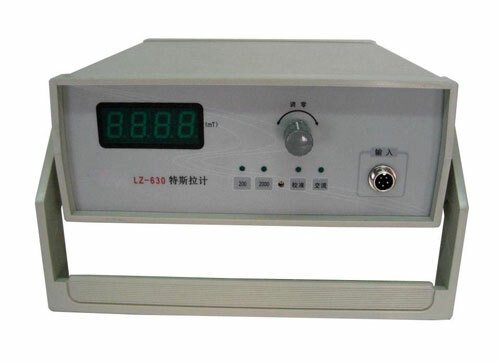 LZ-620H Gauss meter measures the surface magnet of permanent magnet, residual magnetism of weak magnetic materials surrounding magnetic field, etc..
There’re functions of determination, polarity, locking peak value, presetting separation and alarm. 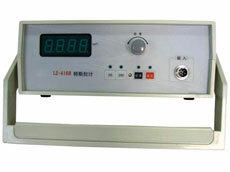 Measuring accessories remote control interface, especially suitable of automatic assembly line operation. 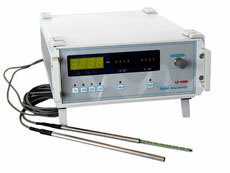 Choosing various types of probes on basis of the necessity. Testing area: thickness 0.32mm, Width 1mm. Sensitive area of chip: 0.2mm × 0.2mm. 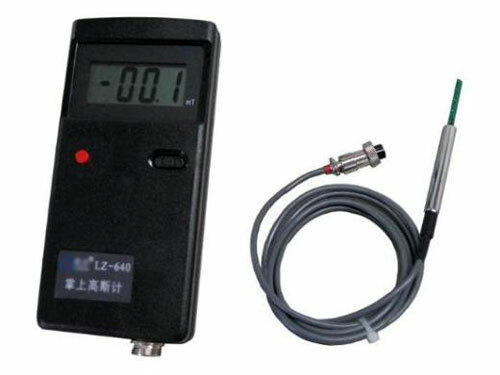 it can measure not only DC magnetic field but also AC magnetic field under 400Hz in the permanent magnet industry. 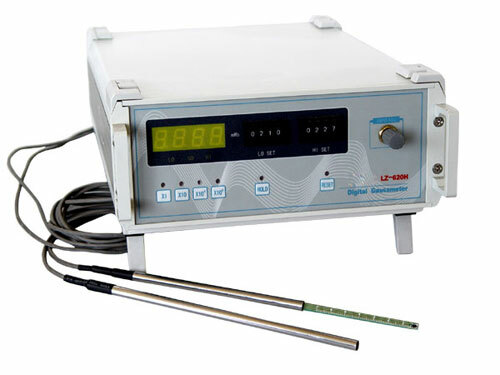 Identifying the polarity when measuring DC magnetic field. Displaying the virtual value of magnetic field, i.e. sine wave. 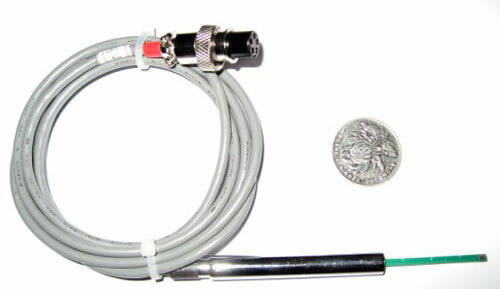 According to the necessity to choose various types of probe. it can measure the magnetic field in the permanent magnet industry and identify the polarity.